1. Are you really Florida lawyers? Yes. Our managing lawyers have over 40 years of courtroom experience in Florida circuit courts and federal courts around the country, combined. 2. Are you going to trick me and charge me a $3000 attorney fee after I hire you? No. No tricks and no $3000 charges. The fee is a flat fee: $399 without kids and $499 with kids. You are also responsible for the filing fee, about $364. Missing or uncooperative spouses are slightly more. 3. I do not want to be responsible for the house (or car) payment and my spouse has agreed to take me ''off'' the loan. Will you make sure the papers say that? The bank loaned the money to you and your husband (if you are both co-signors on the loan). The bank isn't going to let you off the hook. While your husband (or wife) can agree to make the payments, if he (or she) fails to make them, you are still responsible to the bank on the loan and can be sued for breach. If that happens, your credit will also be hurt. The only way to be certain that you have no exposure on a loan you co-signed on is to pay off the loan (sell or refinance). Having said that, sometimes you have no real choice but to make your best deal you can and hope that your ex does what he (or she) promises, understanding that there are risks. 4. We have agreed that there will be no child support. Sorry, you cannot make that agreement and a judge will never allow it. The right to child support belongs to the children and cannot be waived by either parent. However, there is case law that suggests that one parent can agree to pay the obligation of the other, including a child support payment, and, as long as the payment is made, no problem. To get divorced you must file a petition for dissolution of marriage in circuit court. There are many other papers that are required to be filed, including financial disclosure. As far as whether you have to physically appear in court, the answer is not necessarily. 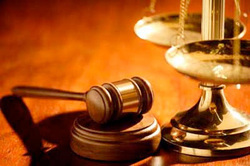 In some cases we can process the case without your having to go to court. In those, the judge will sign the divorce decree without a formal "in court" hearing. In others, a short final hearing will be required. In those cases that require a hearing, you will have to appear (but not your spouse). We will prepare you for your testimony and for what goes on at the hearing, so there will be no surprises. And, one of our lawyers will attend the hearing with you. 6. I caught my husband messing around. I want to expose him publicly and embarrass him with your law firm's help in an ugly and tawdry court proceeding. Can you help me do that? No. You do not understand our program. We are about finding a way to have you agree with your spouse on the important divorce issues. We do not look to embarrass anyone publicly or privately. That is not how we work. If you have children, that would be a horrible experience for them to go through and the wrong thing for a loving parent to do. Our experience is that married people, who want to be unmarried, usually can sit down and work things out. We're talking about normal working people, who need to keep things going, not the people with too much time and money on their hands. For the privileged minority, the fight, the chance to embarrass and to "get back at" the other spouse and the "big show", spending lots of money on flashy lawyers, is sort of a sporting event. You know; it's the "my lawyer can beat up your lawyer" mentality. They can have it. We are not for them, no matter how much money they have. 7. My girlfriend told me that she made a real good divorce settlement with her ex by getting an injunction against domestic violence and having him thrown out of the house. Is that a good strategy and can you tell me how to do it? Domestic violence is serious business and never to be taken lightly or used as a tool to get leverage in a divorce. If you are the victim of domestic violence you should seek professional help or call "911" if you are in immediate danger. If your girlfriend cried wolf to make a better deal for herself in her divorce (sadly, it happens every day), shame on her. We urge you not to consider that path and would want nothing to do with your case if you did. We would not be the right law firm for you. Also, you should know that a real victim of domestic violence may not even be in the proper frame of mind to negotiate a fair settlement with an abusing spouse. Every divorce settlement must be entered into freely and voluntarily, after full financial disclosure is made. A settlement that is made under duress, threats or fear of physical harm may not even be enforceable. 8. I am self employed. Can I make up stuff on this Family Law Financial Affidavit? No. It is an affidavit, meaning sworn to under oath. A material misrepresentation could be considered perjury, which is a crime. Besides, the purpose of filling out and exchanging the financial affidavits with each other is so that informed decisions can be made about the financial issues in the divorce. Should yours be false, and should your ex later find out about it, the deal you work out today could be unwound and undone down the road. You will not upset a judge more than by filing a false affidavit. Having said that, there is a lot to the financial affidavit, many items may not apply to you and there may be many zeros. So be it. Also, you may have to estimate in other items. Estimating is fine so long as you can justify the estimate and make it in good faith. 9. I understand you do not fight or handle contested divorce cases. I don't yet have an agreement worked out with my spouse, who refuses to cooperate with me. Why should I hire you? This is the "uncooperative spouse" scenario and we have been very successful helping people in the same predicament. We may still be the right choice for you to start with. Some spouses are in denial, so they refuse to cooperate. They won't go to parenting class (in cases with kids), refuse to complete the financial disclosures, will not even talk about the issues and pooh-pooh the concept of mediation. If you hire us we will educate you and prepare you to better understand the issues in your divorce. We will prepare the divorce papers, including a "proposed marital settlement agreement", which you will present to your spouse. Just going through that exercise is a valuable experience for you and will get you focused on the issues. Just going through the exercise will force you to think about what a fair resolution would be. Once you present the papers to your spouse, a couple of things can happen: your spouse can continue to be hostile, or, realize the inevitability of the divorce and open a dialogue. Sometimes, filing for divorce without an agreement and serving the spouse can bring them to that realization. Once served with the papers, they will be forced to really give the issues some thought. For instance, before you file, you may have suggested mediation as a way to negotiate an agreement. You can even tell him/her that the first thing a judge is going to do once a case is filed is to order mediation (and parenting class if there are kids involved), but he/she may not believe you (that's not what her friends told her) until the papers are served and the mediation order is signed by the judge and mailed to him/her. Receiving the divorce papers and the judge's orders is reality. We have seen these types of spouses turn around and the case get settled. We have even seen these "uncooperative spouse" decide not to hire a lawyer, not file any papers, in response and allow us to get a default. That gets it done, too. So, is it worth the few dollars you'll spend with us to find out? We think so. Being combative likely will make the situation worse and not help bring it to a speedy and affordable conclusion. What do you think? Getting a divorce agreement is a process. Hiring us is one step in that process and will definitely be helpful to you. In cases where you cannot get your spouse to agree, no matter what, where there is fierce opposition and a court battle ensues, you are still better off for having hired us and for trying. You will be that much more educated about the issues and the process. How often have we heard people tell us that they wished they knew about us before they went down the road to war (and ruin)? We do not fight, so if that's where your case goes, we will not be able to continue as your lawyer. 10. How do I get divorced from my "missing spouse"? I cannot get an agreement, obviously, since I don't know where he is. We handle missing spouse cases. They are a bit more complex in that we will have to prepare and file the papers opening your divorce case. You will have to swear to efforts you made to find your spouse and that you do not know where he/she is. The clerk will sign a special notice that we will prepare and have it published in the local business newspaper for 4 consecutive weeks. After the time runs for a response to be filed, we will ask that a default be entered, which will require the filing of an affidavit that the spouse is not in the U.S. military service (there is a federal statute involved). Once the clerk issues the default, we then will prepare and file a motion with the court for entry of a final judgment of dissolution after default and schedule that motion for hearing. We will attend the hearing with you and get the final divorce decree at that time. You will get your divorce if the paperwork is all in order. However, in these special cases, while you will get your divorce, the court will be limited in the scope of its ruling if you have asked for other types of relief.